Here´s for cheering twice! both the Derby Day and Cinco de Mayo happens to be on may 5th this year. Cinco de Mayo is a celebration of Mexican heritage to commemorate the French army’s defeat at the hands of the Mexicans at Puebla by the end of the 1900s. And with that goes cheering with tequila. 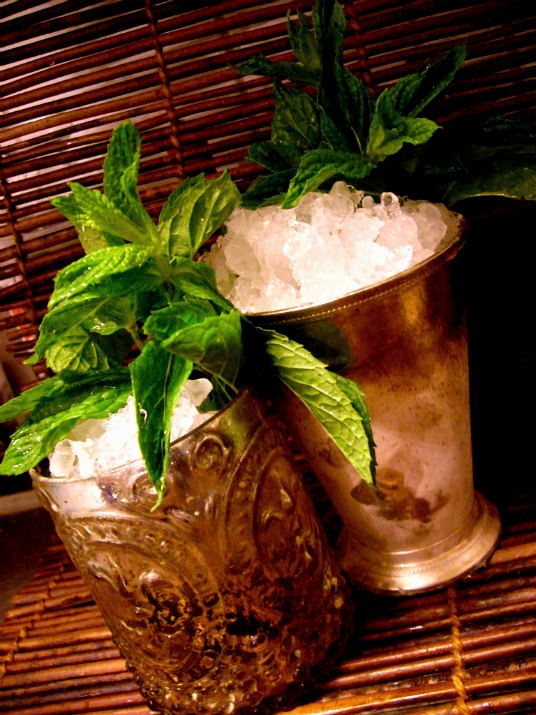 The Derby Day is as we know – a day of never ending mint juleps – and since both are on the same day this year- why not try a new thing and make a tequila julep? 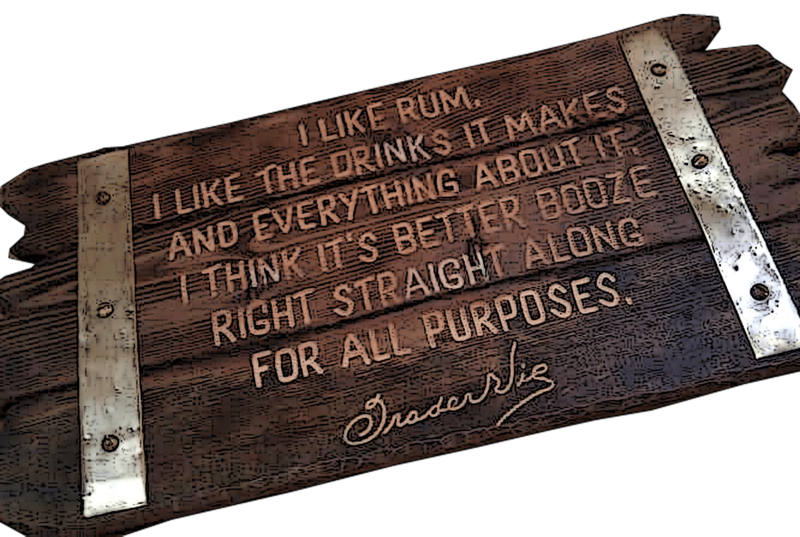 In any case i have been thinking about that ice cold julep for a while…but i have never meade one with tequila. That feels quite refreshing – and i have already posted other juleps here – see links at the bottom) so tequila julep it is this time! 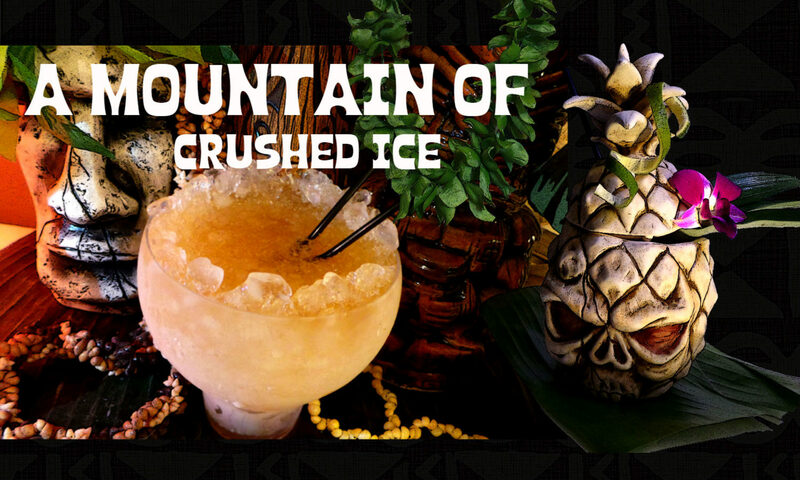 Now one thing with the julep – it´s a boozy drink but with all the crushed or shaved ice it dilutes fast and so therefore you better try to use a spirit with a little bit of a higher proof to keep that kick in the flavor. 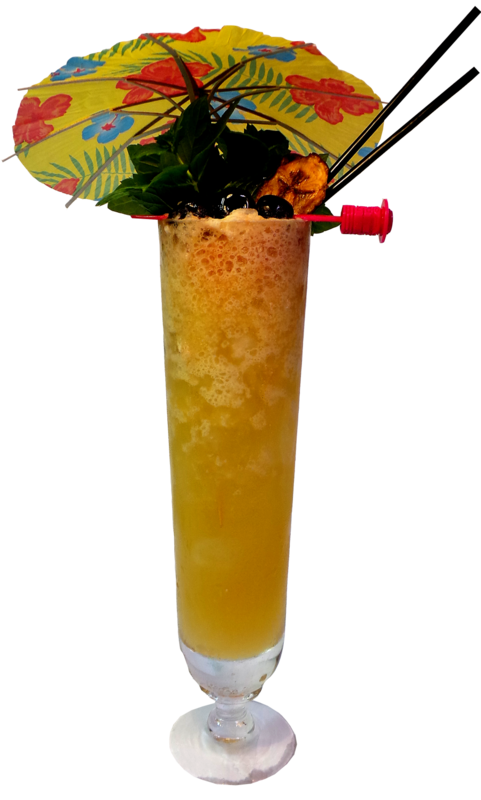 At the same time the dilution is necessary to make the drink palatable and refreshing – and that´s the whole point with the julep – it´s supposed to be a refreshener in the summer heat. And thank God i have a Lewis bag…and maybe i should thank the Tales too bec that`s from where i got it last year. 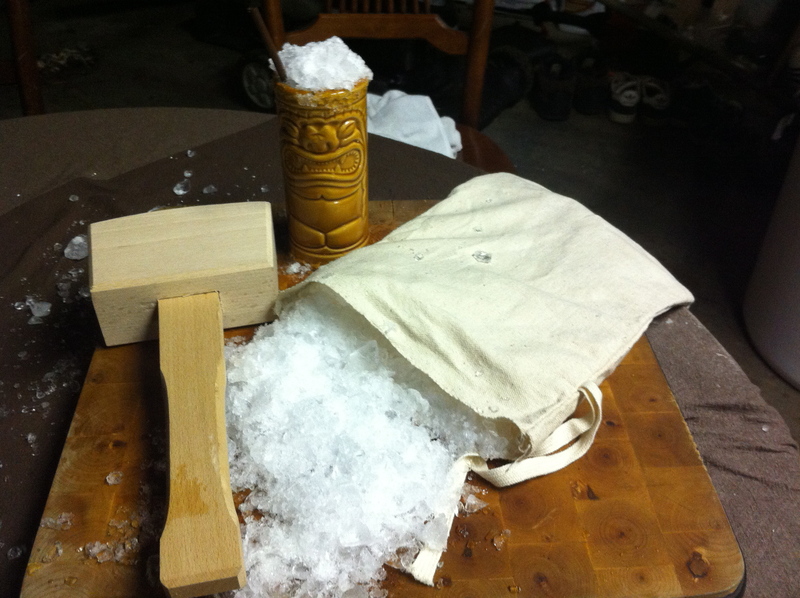 With it i made some fairly finely crushed ice by first crushing it in my ice-crusher (hand cranked variety…) and then i scooped it all into the bag and did beat the hell outta it and the result was a quite finely powdered ice – perfect! Unfortunatley i would have needed more since i made 2 drinks so i had to top it up with normal crushed ice because at that point i wasn´t in for hammering more. And when i mention hammering…i hope one day to find a real big wooden mallet, like this one. Right now i`m using a huge wooden mortar and it works alright but a huge wooden mallet would be even better and they are cool too..
Add mint (6-8 leaves) and muddle very lightly, only lightly bruising them to get the oil out – not too hard because then you will release bitter stuff. Fill up half with finely crushed ice and add your tequila of choice – i took 2 oz of a tequila reposado. Now stir, add more ice and stir again until the glass is well frosted and heap plenty of ice on top! Garnish with a nice sprig of mint – and don´t forget to slap it to release the fragrance in the air. With tequila the julep was alright but i think it´s much better with a strong bourbon – but as this is a special occasion i enjoy my tequila julep!